The Jewel Dining Set is a unique set unlike other dining sets. Apart from the uniqueness of the bench, the dining set is made up of high grade materials, giving the set and uncompromised quality. The table top is made of engineered wood with a melamine finish giving the table a premium look and feel. The table legs and chair frames have been made with the best quality rubber wood making them long-lasting and durable. The polyester upholstery maintains the look of the set while giving you comfort.The jewel Bench dining set gives your dining area a premium and a unique look, unlike common dining areas. The Dining has been designed in a contemporary and modern design aimed at making it blend in with all kinds of furnishing themes. The dining set offers you a refined seating and dining experience, having you look forward to it; and not just for the food. 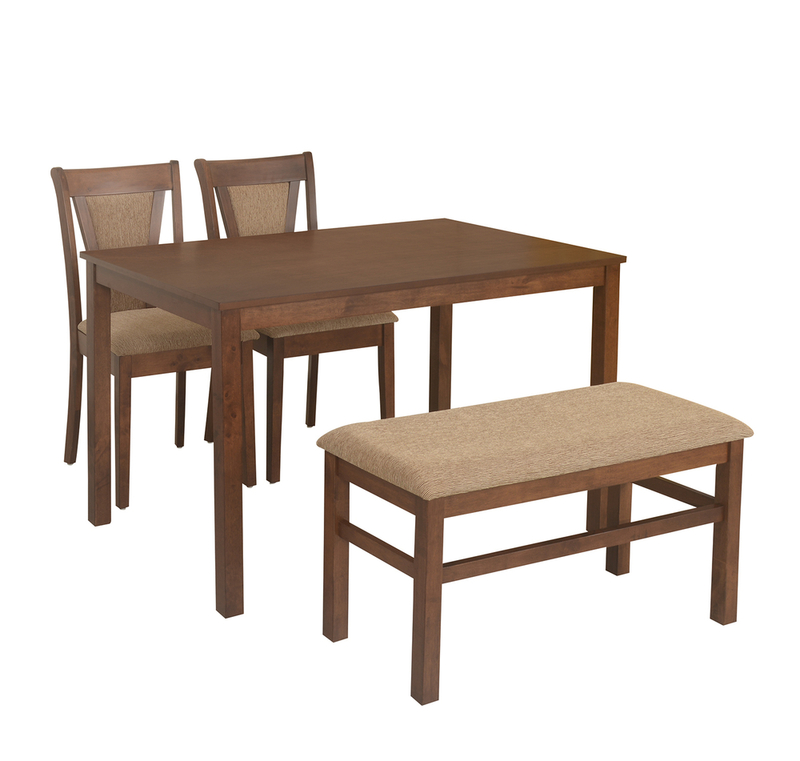 The Dining set is perfectly dimensioned to give you comfortable seating. The upholstery is premium quality giving you a comfortable feel and the set, a high-grade look.Get your place a high-grade Dining Set, buy the Jewel 12Bench Dining Set Today from @home.